A lawyer of doctor Conrad Murray,the last doctor of the singer Michael Jackson accused of manslaughter, said that “King of Pop” would have committed suicide due to financial problems that he had. Lawyer Ed Chernoff said in a document filed with the Superior Court of Los Angeles defense argument will be that Michael Jackson was the victim of despair and had taken a series of desperate measures that have caused death. Lawyer seeking access to financial records of the “King of Pop”, which had debts of 500 million dollars in his death. 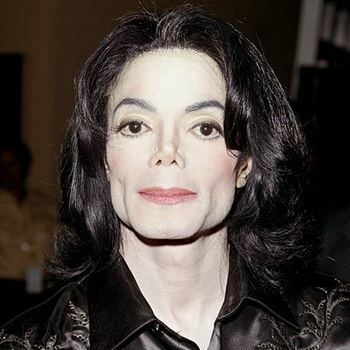 Michael Jackson died on June 25, 2009 at the age of 50 years in a rented residence in Los Angeles from an overdose of propofol, a powerful anesthetic that the artist was using it as a sleeping pill. Murray’s defense, which the prosecutor of California accuses for the fact that he left the singer unattended after being administered propofol, the star’s suicide hypothesis already evoked during preliminary hearings, but without specifying the reasons behind this hypothesis. Ed Chernoff said that in the time of the death, Michael Jackson was in a desperate financial situation, adding that the star would have given himself a lethal dose of propofol to terminate his life. Judge of the case, which in these days is busy with jury selection before the start of the trial, set for May 9, could take finnaly the decision to accept the acces of doctor’s lawyers to Jackson’s financial records. According to prosecutor David Walgren, this claim is nothing but an artifice of the defense of the doctor Murray invented to divert attention from the substance – which proved negligent doctor Murray, who was Jackson’s fatal. Witnesses called to the bar during the preliminary hearings have made a portrait at all flattering to the doctor, making it look sloppy, incompetent and an expert in the art of dissimulation. Murray admitted that he administered propofol to singer Michael Jackson on the day he died, but did so at the behest of the star. Murray doctor has pleaded not guilty. He may, if he will be convicted, a sentence of up to four years in prison. Judge Michael Pastor of the Los Angeles Superior Court authorized the presence of cameras in the courtroom, provided that they do not disturb the process.